I went a little out of my cooking comfort zone this week. I can roast a whole chicken and make a ton of dishes with chicken breasts but I don't really cook with chicken legs and thighs... mostly because I have a thing with animal fat... like a slight gag thing if I bite into a piece (TMI?). So, I did trim all the skin and as much fat as I could off before cooking. If you a slightly more normal person, you don't have to do that . These dishes were so incredibly good (and easy) that we may be switching things up more often. The best part? These recipes only require one pot! Yay for less dishes! 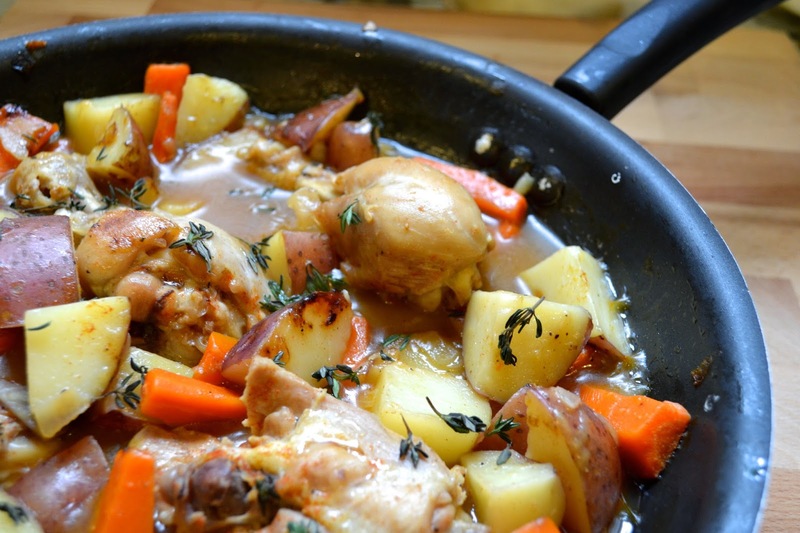 This first dish, Braised Chicken Thighs with Carrots, Potatoes and Thyme, came from the Williams-Sanoma so there was no doubt is was going to be good but it was oh so good and so quick to put together. You can even pre-chop your veggies so you can just throw everything in and go. The longest part for me was trimming the chicken. This dish even comes with appropriate GF substitutions. 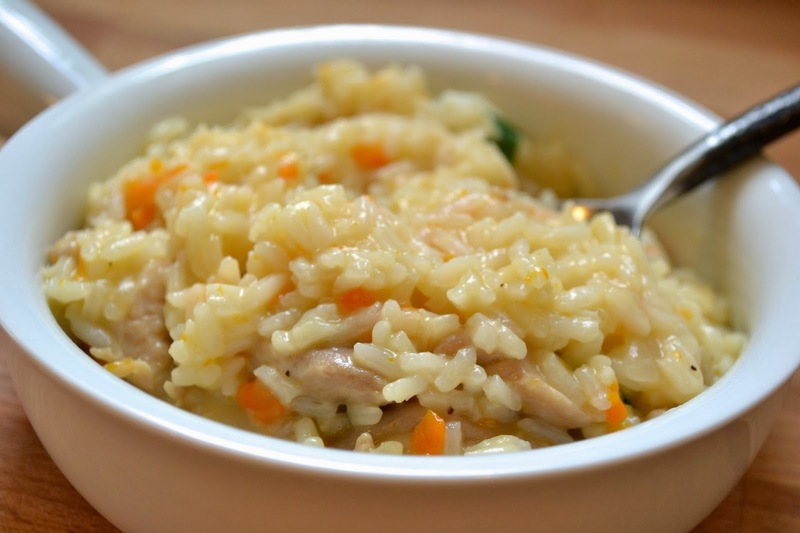 The second dish is Chicken and Rice from Natasha's Kitchen. This dish includes an incredible garlic trick that took this dish over the top. You need to check it out. I really wanted to add mushrooms to the meal, even bought them, and then completely spaced. We need to make this again so next time I'll try it with mushrooms. I definitely could have eaten the whole pot. The only thing you need to watch in this dish to make it GF is the chicken stock... make sure you buy the right type. If you want to try a couple of bonus dishes, we also made a ton of apple sauce with our Maine apples and Creamy Thai Sweet Potatoes and Lentils made a repeat appearance in our kitchen which is pretty rare. Everything only needs one pot so it's time to get cooking!